Tag Archive for ‘Bandcamp’ « .Evolving Music.
. 2 Comments Tags: Bandcamp, Better World, eco-conscious, LoaTree, medical marijuana, reggae, Santa Barbara, Soul Majestic, TreeHugger. Meet Soul Majestic. Part Jamaican style reggae and part Santa Barbara surf culture, this eclectic collection of activist musicians has come together to make the music that moves them and to promote the causes that stir them. The band frequently plays benefit shows meant to rally support for groups promoting promoting peace, environmental education, and the compassionate use of medical marijuana. 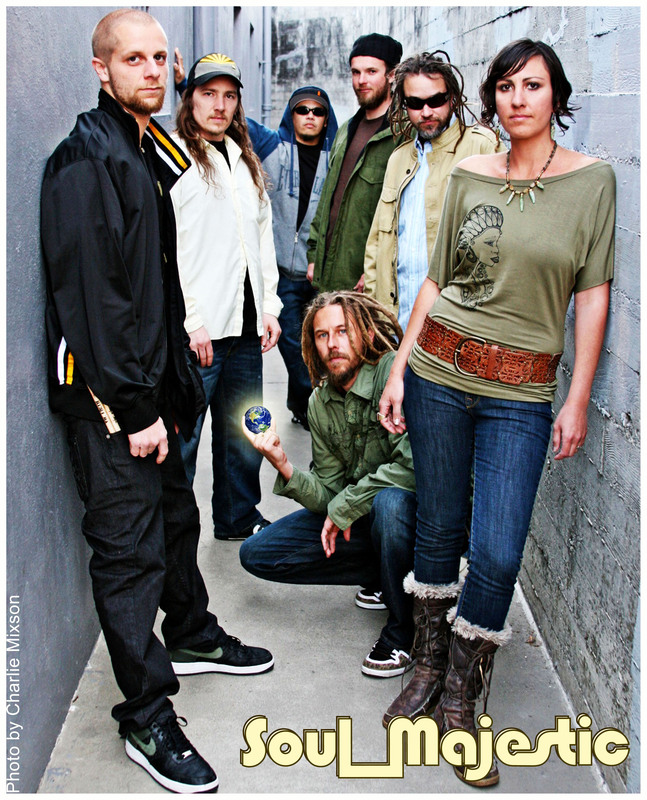 With the release of their most recent album, Better World (available on iTunes now), and the touring (in their 15-passenger Bio-diesel tour van) to follow, their mission is to raise awareness of global interconnectedness and how people’s actions impact one another and the earth. It’s refreshing to see more bands focus on the positive messages they’re spreading rather than trying to please the masses with radio hits. Want to join their growing family? Have a listen to their groovy sound (or buy some tracks) on their myspace page, check out lyrics on their bandcamp page, follow them on Twitter, or become a fan on Facebook.
. 0 Comments Tags: Apture, Bandcamp, Brian Zisk, JamLegen, Ning, Pinger, SanFran MusicTech Summit, Stephan Jenkins, Third Eye Blind. For those of us in the music tech space, attending an industry event can be a great opportunity for fruitful networking, a way to keep up with emerging technologies, and a place to learn from brilliant people. Or it can be boring and kinda pointless if not well run. Luckily for us, Brian Zisk has a knack for recruiting excellent panelists, solid sponsors, and exciting new startups to form the foundation of his SanFran MusicTech Summit. Having attended both the first and second summits as guests, this time around MixMatchMusic was given a presentation slot. Booyah! An obvious draw for this particular summit was featured speaker Stephan Jenkins, of Third Eye Blind, who had some poignant thoughts on the future of the music industry and the role (or lack thereof) of the album therein. I heard mixed reviews of the panels overall, but found the ones I attended to be fairly compelling. In “Social Networks: Marketing & Entertainment” there was a heavy emphasis on the power of peer recommendation. As consumers continue to tune out traditional media such as radio and billboards they place more value on social media. When we were asked how many of us thought social networks will influence this year’s election, basically every hand in the room went up. Other topics included microblogging, the death of banners, and viral marketing. Cool takeaway for musicians: Use Pinger to group fans by area code and notify them of a show in their area by voicemail. In “Building Social Networks around Music”, Rachel Masters of Ning noted that if fans are engaged they are going to buy more. She also said that every musician should have a community manager. This is a great tip. Musicians, or someone they delegate the task to ideally (so the musician can focus on making great music), should be using social media tools as much as possible to engage fans – by listening and responding to those fans and monitoring what is going on in their community and the culture that their music is a part of. The best part of this summit was the “Special Presentations”. If you’re an emerging technology junkie you’ll understand. A host of interesting startups gave brief demos of their services and were met with a healthy mix of encouragement and skepticism from the audience. The most exciting one was Bandcamp (.mu not .com) – “the best home on the web for your band’s music”. Rather than spending a grip of cash on a fancy band website for your music or having songs on a ton of profiles on other social networks like myspace, last.fm, and facebook, you can have it all in one place. They will be building out additional features later, but right now they focus on providing the following: ownership (your own design, logo, URL etc), speed and reliability, viral distribution, stats (who are your fans) and being “your fifth (very nerdy) Beatle” that handles everything in the background. And – it’s free. As far as selling your music you have a choice: give it away for free, set a price, or let your fans set the price. Pretty freakin solid. Also noteworthy were Apture, which helps you “add multimedia to your site in one click”, and JamLegend (currently in private beta), the free online version of Guitar Hero. Speaking of guitars, near the end of the day, a Gibson and some other goodies were raffled off.